One of the many contributions made by Dame Lin Homer was chairing the Civil Service People Board. I am very pleased to have taken on this role from Lin – I chaired my first meeting this week. So, it’s a good time to blog about what the board actually does and demystify it a bit. What is the People Board, and what does it do? The board is a sub-committee of the full Civil Service Board chaired by Jeremy Heywood and focuses on people issues. This involves considering how the Civil Service positions itself as a modern employer – attracting and retaining people with the right skills; building an inclusive environment that identifies and encourages talent; and understanding the internal and external factors that influence how we operate. The board doesn’t aim to do departments’ jobs for them – senior leaders in each department are responsible for good management and have the flexibility they need to accommodate their priorities. But, increasingly, we must also act together. 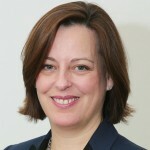 Through the Civil Service Workforce Strategy we can mobilise our leaders on issues that matter to the whole organisation: whether it is setting common rules in areas such as senior pay; establishing a single set of functions for our HR expertise that are shared across departments; or collaborating to deliver better learning and development through Civil Service Learning. The board has 16 members, drawn from different departments, with a mix of permanent secretaries, directors-general and leaders of the HR profession. We meet monthly and often have people sitting in on our meetings as observers – something, as chair, I want to happen more systematically. Most recently, the board brought departments together to tackle bullying, harassment and discrimination. This has informed efforts to create more inclusive cultures within the Civil Service. A programme of work is underway to create a toolkit for departments to use in areas where high levels of bullying and harassment have been identified. One of our priorities is to ensure we get the basics right for our people, whether it is paying them correctly and on time, or giving the right pensions information. Other big themes include continuing to build really strong leadership; taking a more strategic look at reward and pay; and encouraging greater movement in and out of, and within, the Civil Service. We have a strong programme of work, which we’ll set out in more detail in the coming months. The Civil Service has already changed so much for the better during my time here. I began my career in 1989 in the South Tower in Marsham Street, as an economic assistant in the Department of Transport. (I shared one of the first desktop computers with my Grade 7.) It was normal then to address anyone in the Senior Civil Service as 'Mr' or 'Mrs'. I spent two years on the 18th and 19th floors of the old DfT/DoE building. We had great views, but much of our time was spent walking up and down the long, rather bleak, corridor that ran through the middle of the block. Jobs were allocated almost entirely by a mysterious process of managed moves – you either got lucky, or you didn’t. As a young woman, I was always significantly outnumbered by men in meetings, and leadership was rarely mentioned as a concept, let alone diversity. So, I’m always pleased to reflect on the improvements that individual departments and cross-departmental working – like the People Board – have made. The challenge for the years ahead is to keep building on the strengths of the Civil Service – including our core values and the fantastic, varied and fascinating work we do. I'm looking forward to playing my part in this through the People Board, in addition to my roles as Permanent Secretary of DCLG and Civil Service Gender Champion. My question to you is: will you get rid of box markings? In the private sector we had a much more objective, honest and impartial way of measuring performance, and managers behaved with integrity. Sales performance was extracted from numbers that were hit. But in the civil service, it is all subjective, reflecting how well one conforms to the moods and values of the senior management of the time. This stifles innovation, which is why the civil service is so backwards and always at least five years behind the private sector. The box markings cause a lot of discontent, and rather than making the civil service a place with a great culture that attracts talent, it is a place where talent=conforming to the status quo. Meaning that things will never change and we will never be successful. It's a pretty damning indictment of a "People Board", making decisions on the careers - and by extension the lives - of thousands of colleagues and employees, that it has to be "demystified". How about shining some light into this dark corner by publishing agendas and minutes? You say this group is addressing the people issues; it would be nice not to simply have to take your word for it. Or is this group.simply a talking shop for the next round of cuts to terms and conditions of service spun in the name of modernisation? It is quite interesting we have a board of very senior individuals that are there to act as a "People Board" yet the people are those listened to least and most put upon in the entire organisation. When was the last time any of the board members spoke to the lower grades, without other senior managers around to ensure the correct answers are given, ensuring the world always smells of new paint, and the lower grades have no fear of what may happen if they dare to tell the truth of what actually happens on the shop floor? I've just carried out a straw poll in my immediate area to assess knowledge of the activities of the 'People Board'. We have more than 3000 people in this location and some sort of PR initiative on the existence and objectives of the Board would be appropriate. High level departmental think tanks, may benefit from stated, measurable objectives and advertised published outcomes for staff, who's future may be affected by their recommendations. Happy to help in this location. Whilst I welcome this initiative, to have a Board that is very much representative of the organisation, could I ask why it is only made up of Staff from the Senior Grades and would it might benefit from having staff from some of the Delegated Grades as well? Can I also ask what is the make up of this board in terms of Gender, Sexual Orientation and Ethinicity?